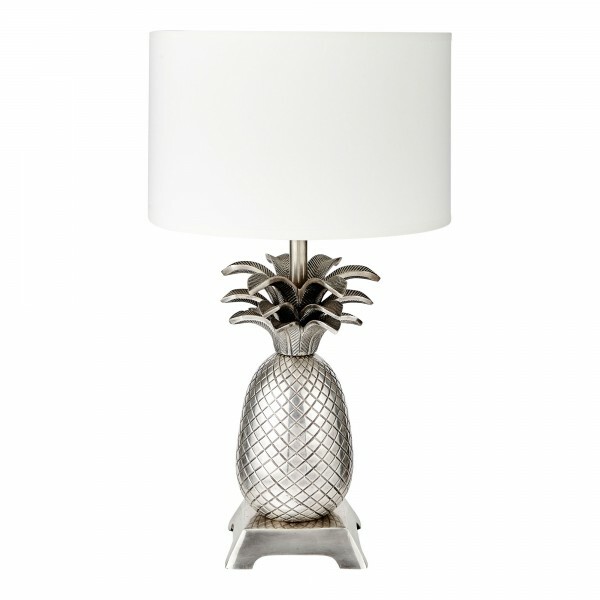 Tropicana, our pineapple table lamp, is finished in a lustrous nickel effect. Tropicana brings a sense of fun and style to any setting. We love the simple base on which Tropicana stands. We have seen many similar lamps but none with the style and depth of Tropicana. Produced exclusively for Crumple and Co in India and ideally paired with one of our lovely bedside tables. Shown here with our Shallow Drum lampshade.